In the last few articles, we have discussed various areas of Healthcare which can be impacted great with healthcare-related systems such as Medical Apps, EMR, Hospital Management System, and the list is pretty long. Now, today the Electronic Health Information Exchange (HIE) will be in focus. So what is basically Health Information Exchange? Well, its major functioning is to allow doctors, nurses, pharmacists and other healthcare providers and patients to access & securely share patients’ vital medical information electronically. This results in enhanced speed, better quality, safety and reduced patient care cost. Even though the secure electronic data transfer is available all across, still a lot of the medical information is stored in the paper like it could be in filing cabinets at a number of medical offices, or it could be found in folders and boxes in patients’ homes. So, as this medical info is shared between the providers, it usually happens by fax, mail or – in all likelihood it is mostly shared – by patients themselves, who have been carrying their records from appointment to appointment. Now even though HIE System can’t entirely replace healthcare provider-patient communication, still it can hugely enhance the completeness of patient’s records (which can greatly impact care), after all, past history, current medications & other information is reviewed jointly during the visits. Now in case of a Healthcare practice has successfully integrated faxing patient information into their business process flow, they are certain to question or think of reasons as to why they should transition to health information exchange system. Then, they should know there are a number of benefits they get to enjoy with an information exchange system, despite the means to which is it transferred. However, the value of electronically exchanging is the standardization of data. Once the data is standardized, the data that is transferred can integrate seamlessly into the recipients’ Electronic Health Record (EHR), thus further enhancing patient-care. In case, lab results have been received electronically & incorporated into a provider’s EHR, then a list of patients with diabetes can easily be generated. Then, the provider can determine which of these patients are dealing with uncontrolled blood sugar, and thus the necessary follow-up appointments can be scheduled accordingly. What are the key forms of Health Information Exchange? 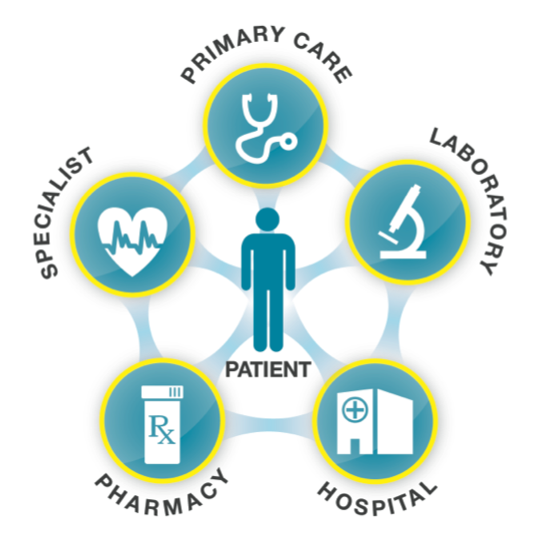 Query-based Exchange: It enables the providers to find and request information on a patient from other providers. This one is often used for unplanned care. Directed Exchange: It able the providers to send & receive secure information electronically between care providers thus to support coordinated care. Consumer Mediated Exchange: It enables the patients to aggregate & controls the usage of their health information among providers. The foundation of technology, policies, and standards, required to initiate all these three forms of health information exchange are complete, tested & available. Now in the coming section, we will explore detailed information & example scenario for each of these above mentioned forms. Emergency room physicians use query-based exchange in order to access patient information, like medications, problem lists, and recent radiology images, thus to adjust treatment plans to avoid adverse medication reactions or duplicative testing. When a pregnant patient heads to the hospital, query-based exchange assists the provider to obtain her pregnancy care record, thus it enables them to make safer decisions about patient care and her unborn baby. A primary care provider can send electronic care summaries directly – includes problems, medications & lab reports – to a specialist when referring their patients. This information helps in informing the visit and prevents the tests duplication, redundant collection of info from a patient, medication errors & wasted visits. Directed Health Information Exchange Systems is also being used to send immunization data to public health organizations or also to report quality measures to The Centers for Medicare & Medicaid Services. What are the benefits of Health Information Exchange (HIE)? Provides a basic level of interoperability among EHRs (electronic health records) maintained by individual physicians & organizations. Provides the backbone of technical infrastructure for leveraging by State & National-level initiatives. Enables effective deployment of emerging technology & health-care services. Creates a potential loop for feedback between the health-related research & actual practice. Offers caregivers with clinical decision support tools for better and effective care & treatment. Provides a vehicle to improve quality & safety of patient care by reducing medication & medical errors. Health Information Exchange systems allow error prevention by ensuring that each one involved in a patient’s care – be it a primary care setting, a specialists’ office or emergency department – is having access to the same information. HIE encourages efficient care and for this, it enables automatic appointment reminders or follow-up instructions which can be sent to the patient directly and prescriptions can be sent to pharmacies directly. Besides, HIE reduces the amount of time spent by patients in filling out paperwork & in briefing their providers on their medical history. This allows more and more time for discussions regarding health concerns & treatments and also saves tons of time for both providers and patients. This way, Health Information Exchange is great in reducing costs and enhancing health outcomes. What significance does HIE hold for public health? It has been for years that medical records of patients have been transferred by patients themselves (as they carried their medical history from provider-to-provider), or by fax machine. Thus, HIE offers a number of benefits over these conventional methods of patient data exchange. Transient population – Well, the population treated by a public health professional is a lot more likely to be transient and moving between cities or states. In case of hospitals and clinics, the ability to pull or send a client’s health record helps in ensuring that those clients receive continuity of care and get the best possible treatment even when they move. 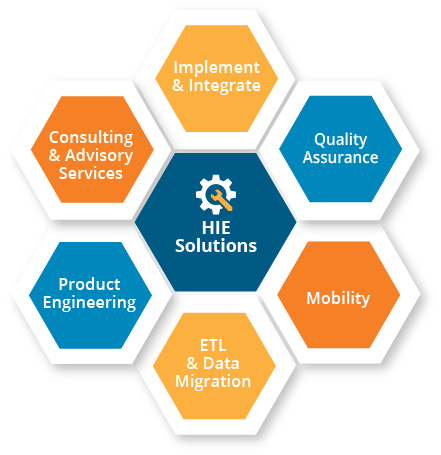 Level Playing Field – This is certainly the best benefit that can be offered by HIE Solutions: Level Playing Field. An Health Information Exchange system gives public health as much priority as a hospital. In case of a public health agency, it offers a different kind of care, however, it is as important. Most up-to-date information – An HIE gives public health professionals the access to most up-to-date patient info in the medical record. It reduces any chances of medication errors/misdiagnosis, also ensuring elimination of duplicate testing. It helps in improving accuracy in diagnosis, enhances public health-reporting, protects patient safety by offering full medical picture & helps in reducing costs. 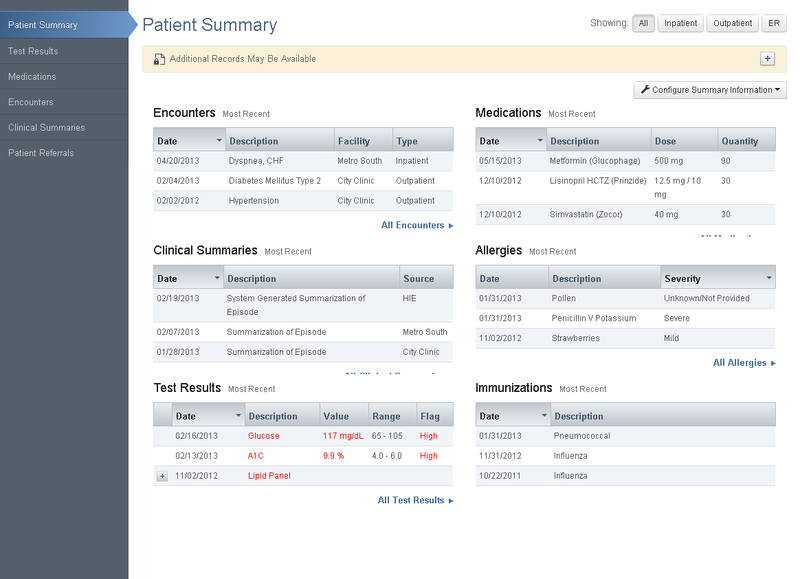 Standardization of information in a patient record – This is yet another benefit of Health Information Exchange. To be able to send data to HIE, an electronic health record (EHR) must be able to put the data into a language that is commonly understood, with standard fields, this way it can easily be understood by receiving provider. 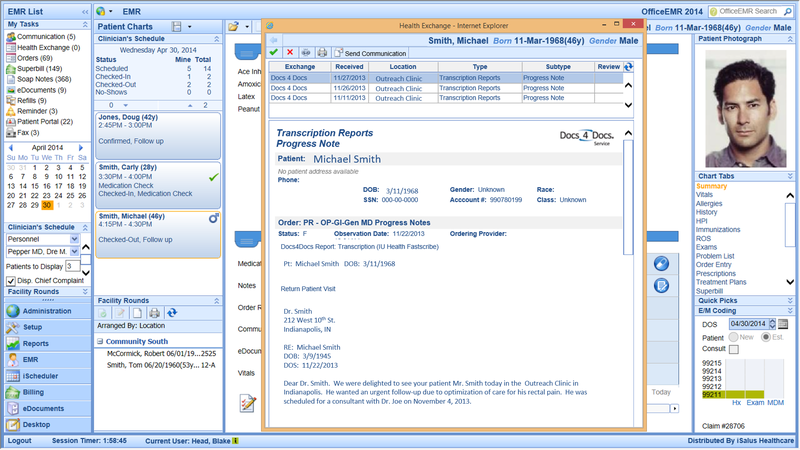 Connect Automatically – It allows the public health professionals in connecting automatically to the HIE thus obtaining patient medical data, this certainly is a lot easier as compared to manually transfer patient data. Meanwhile, the best mean to ensure the exchange of meaningful data is to employ EHR system (electronic health records) that are able to create and send CCDs, and at the same time, it also allows charting data in a meaningful and consisting way, via the use of a standardized terminology. Now the advancement of HIE varies from location to location and all the nations’ government is consistently making efforts for modernization of how patient health information is stored & shared. Resources available to the providers help in navigating these efforts. You need understand what exchange service providers are available to you or you can choose a better option, which is to find a Health Information Exchange Development Company as that will do all that for you. 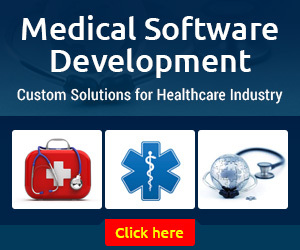 Why is it important to choose the right HIS system development company? 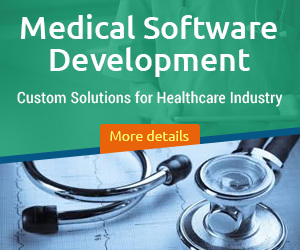 Once you are sure that chosen Healthcare Software Developer Company will be able to offer you with these crucial features, you are ready to move forward. How to determine the cost to develop a Health Information Exchange System? HIE certainly has all the efficiency to solve one of the major challenges of healthcare IT industry, which is if the market takes advantage of them. Today HIEs are used both in public care and private care facilities and the opportunities with HIE System are definitely immense. Who will Win the Cross-Platform War- Ionic or React Native? How to Develop a Comics Reader Mobile App with Great Functionality?